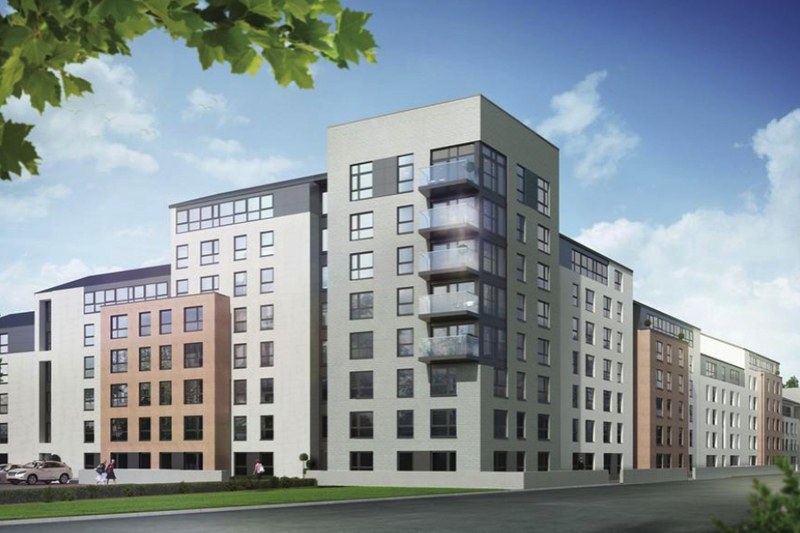 Barratt North Scotland commissioned the latest and most significant development designed to transform an existing brownfield site located within Aberdeen City into state of the art flatted properties. The development will provide 170 high quality flatted properties within walking distance of the City Centre whilst also boasting views out over the North Sea. The structure consists partially of a reinforced concrete frame and partially of load-bearing blockwork walls with hollowcore floors and is supported by strip foundations. Sub-structure design including the interface between contractor designed steel piles and RC ground beams. Super-structure design which included a mixture of load-bearing masonry and load-bearing contractor designed precast concrete panels. Gravity fed drainage design which connected into existing public network. Statutory approvals for site access and drainage. Fairhurst provided a comprehensive service on all aspects of the project from structural surveys through to final structural design, including geo-technical and environmental services. Fairhurst was an active participant in the collaborative working between the Client and the design team, to provide an efficient and effective design.